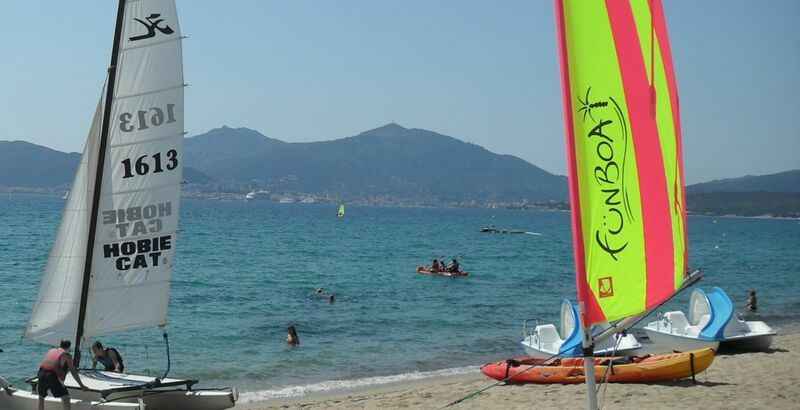 Cors'Aventure welcomes you on its nautical base from the 15th of June until the 15th of September. It is located in Porticcio, on the beach just in front of the Hotel Club Marina Viva. The HobieCat16 is perfect for a few hours rentals to discover Porticcio's gulf, while having nice sailing sensations!